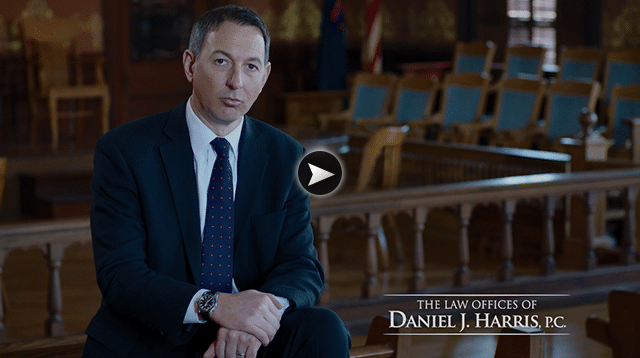 Trucking Accidents | The Law Offices of Daniel J. Harris, P.C. When passing a big truck on the highway, we’ve all had that moment where our nerves creep up on us. With such a big vehicle, it’s hard not to be a little apprehensive as they drive by. Tack on the fact that there are approximately 15.5 million large trucks in operation in the U.S. and then add to that the leading cause of accidents among trucks is brake problems (followed closely by outside influences). It isn’t hard to see why there are nearly half a million accidents involving large trucks every year. Despite only contributing 2.4 percent to all accidents on U.S. roads, trucking accidents are still a common enough occurrence to warrant being prepared. At The Law Offices of Daniel J. Harris P.C., we recognize the frequency at which accidents can occur. The idea that something like this could never happen to you, or a loved one, only makes it seem more unbelievable when it actually does. The good news is we are prepared for you. We’ve spent decades working with the victims of trucking accidents, along with other personal injury claims. We have won millions for our clients in our efforts for justice. Our priority is to bring about a sense of resolution to the lives of our clients who have suffered so much already. By fighting for you and aiming to get everything you deserve, we prove ourselves worthy of your trust. At The Law Offices of Daniel J. Harris P.C., we are dedicated to helping you, at no cost to you. By implementing a No Win – No Fee Policy, we can assure our clients our motivations are in the right place. We want you to win and we want to help you do it. By choosing us, you are choosing decades of experience in fighting for the rights of those involved in all kinds of accidents. You are choosing a firm who will do everything possible to get you what you deserve and has a track record of doing so for our clients. Just because something bad happens and you aren’t prepared, doesn’t mean you should suffer. Contact us now so we can show you exactly how we’ve been preparing for years. If you or someone you know has been the victim of a trucking accident, we implore you to call or visit one of our local offices immediately to speak with one of our friendly staff on how exactly we can assist you. At The Law Offices of Daniel J. Harris P.C., we serve clients all across our proud state of Michigan.